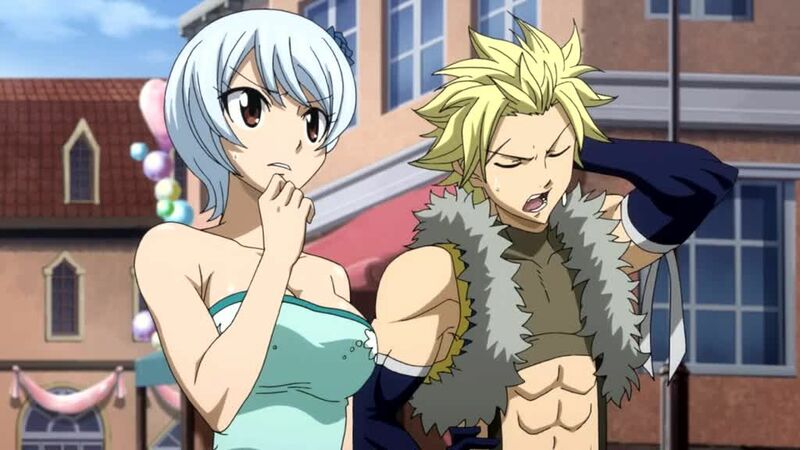 You are going to Watch Fairy Tail Episode 202 English dubbed online free episodes with HQ / high quality. Stream Anime Fairy Tail Episode 202 Online English dub Welcome Back, Frosch. Frosch wanders off while shopping with Lector in the city and becomes lost. Rogue desperately searches for Frosch alongside Sting, Lector, and Yukino, asking several wizards for the Exceed’s whereabouts. The group eventually finds Frosch trying to return to the Saber Tooth guildhall alone, and decide to follow in secret, averting various hazards to the Exceed along the way. After spending the day searching, Frosch ends up at the Fairy Tail guildhall by mistake, to Rogue’s dismay.